Some of you have probably already seen this over on another website, but I thought I'd throw this out here too, as there seems to be a lot of sheep fans here. 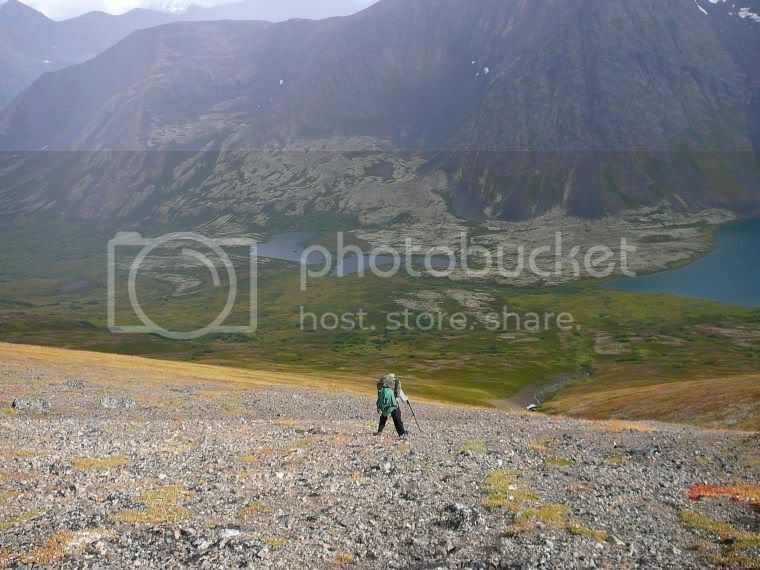 A friend and I went hunting right there by Anchorage in the Chugach Range, as I drew a tag for that area. It was a walk in deal, starting at the Glen Alps trail head area. It only took three days 2 nights, but we're old and not in the greatest shape. I love the fact one horn is broomed, and the other is about 1/8 past full curl. Most folks are aging him at 10 years old. We think it's gonna miss the 160 mark, but just by a bit. man i don't post much in reply to people sheep pics but man the scenery on yours is just killer, i flew over that area once and couldn't get over how beautiful it is. and your pics nail it right on the head. awesome. drop me a pm if you would, i'd like to know more about your hunt and how you get to the area...and no i don't have a tag! 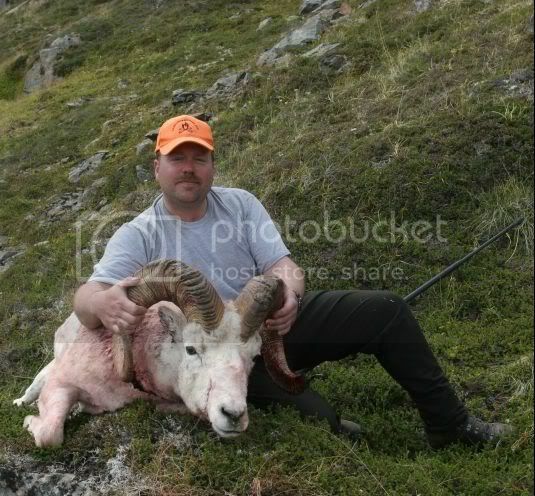 That is a fine Ram you killed Brian, the photo's are first rate as well. Congrat's! I've read the other thread (different site) on the account of your hunt, which is excellent.........Maybe you could recount the story of your hunt here for those who don't visit the other forum. Thanks for sharing your success with us. Congratulations on your hunt, nice looking animal. Isn't it great to have those coveted unit 14 permits that make weekend sheep hunts possible! One of these years I'm hope to get another one ( I keep trying) as it makes the the mental aspect of the hunt easier knowing you can walk out & be home in a day. Congrats on your adventure. You and Art made in happen in some of the most beautiful country I have ever seen. The story was well written, and Art did a fantastic job on the photography. What more can a guy want?????? 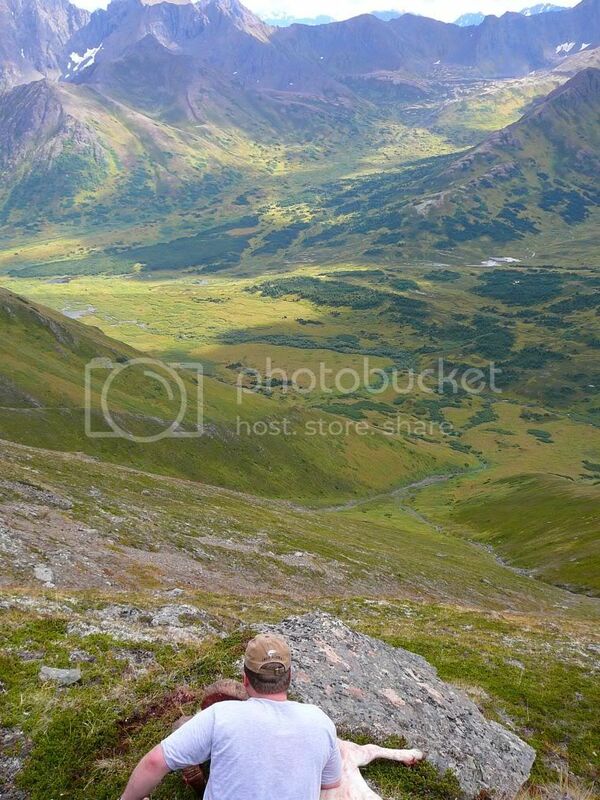 Next August can't come soon enough for my first guided sheep hunt. If I have 1/2 the good fortune you had, it will be a good one. I am ready for the challenge! Congrats on your sheep, and the pictures are awesome! Those coveted tags do make many envious. Good job. Art did more than just take great pictures. He packed half the weight (he'll say slightly more ) and helped judge the rams. Great guy and hunting partner for sure. Taking good pictures was a priority for us. I'll hold off applying for that area a couple years, just to help everyone else out. for bringing it by the store for us to see. Fantastic ram, and I can't think of a more deserving hunter. Except me, of course. beautiful photos, beautiful sheep, congratulations on a great trophy. i hope you left a big one for me, i will be leaving shortly myself. No problem Marc. Enjoyed my visit to your fine store. I'll try to stop by more often when I'm in Anchortown. Kinda felt like a goof ball, bringing in the horns, but what the heck, it doesn't happen everyday. He had a buddy, but not a very loyal one. That ram was much like mine, with a broomed left horn, but the right one was flared out a bit more. He ran off when mine face planted about 10ft in front of him. Pretty sure he was the the same sheep we saw cross the valley the next morning as we were doing our death march up Ship Lake Pass. Best of luck on your upcoming hunt! Hey Brian, you shouldn't have felt like a goof ball. You have the right to be proud of your trophy and show it off. I wish I would have been there. Congratulations on the ram! Awesome! 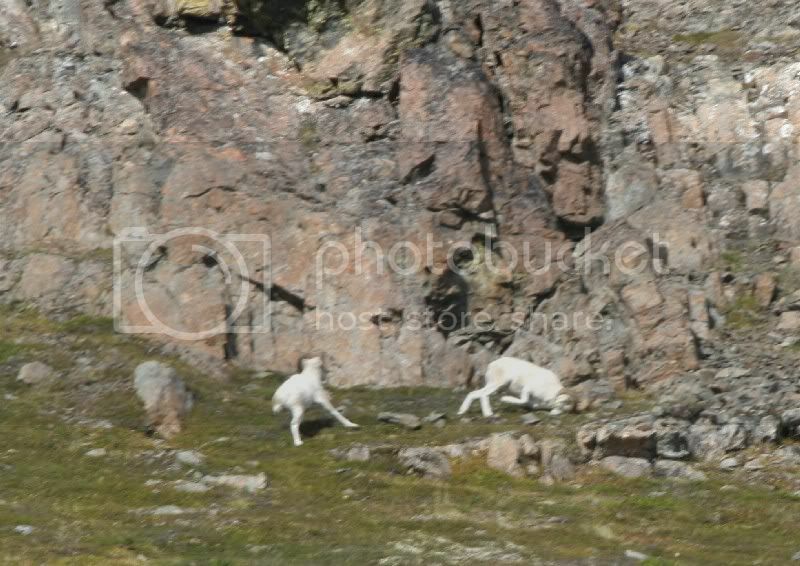 Great ram and pics, thanks a ton, I am a NR so I had to book with an outfitter, I will be SHEEP HUNTING the chugach in 2011! That is a great photo. You don't get a picture like that very often. thanks for posting it anyway. maybe the camera moved a little. pic, can't ask for a better sheep. 160 class!! Can't ask for much better than that. I drew the oct 1-10 bow tag, you wouldn't mind passing any info along would ya? I already have an area I want to hunt picked out and one other as a back up. Gonna head down a handful of days early to scout two of them out to find what rams are around. If ya got time I'd greatly appreciate it! good job and great pics to boot!